Qantas first class is without a doubt one of the more aspirational flight experiences on the market. 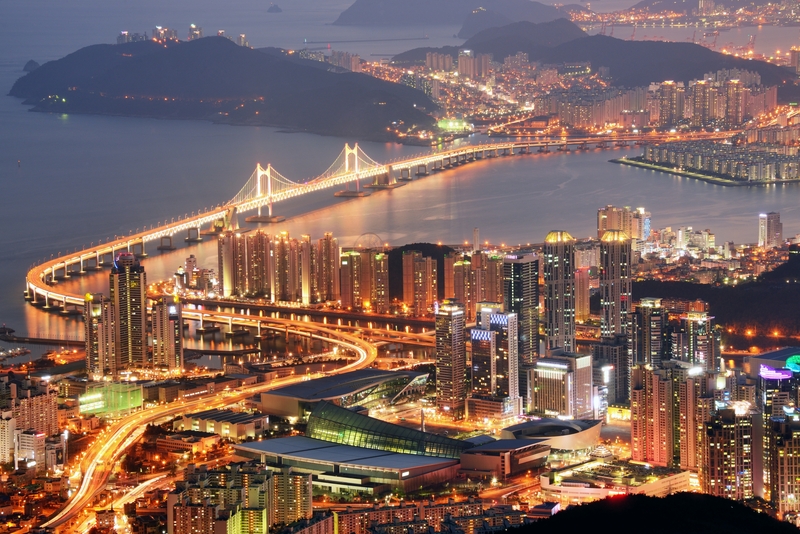 Getting to Australia from the United States isn’t easy and often requires connections in Japan, South Korea, or a country in Southeast Asia. With Qantas, you can fly to Sydney, Melbourne, or Brisbane directly from the U.S., which will greatly shorten your travel time. Not to mention, Qantas has a great first class cabin! A first class award seat on Qantas isn’t easy to find, but we’ll show you how to give yourself the best chance and what to expect on this amazing flight. 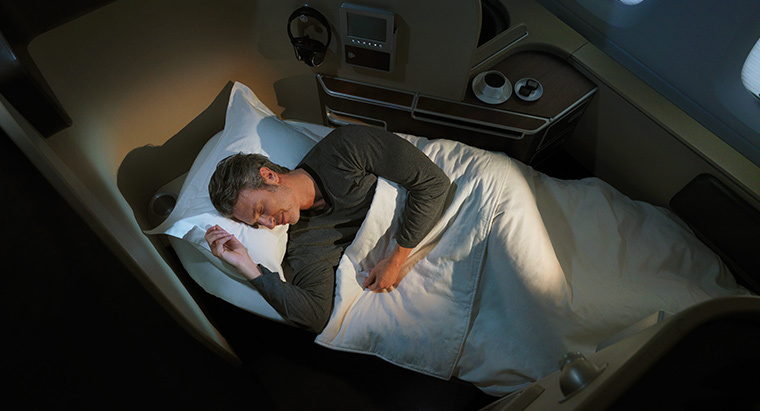 With a long journey to Australia, you’ll have plenty of time to sleep on your Qantas first class flight. Image courtesy of Qantas. If there’s one thing Qantas first class is known for, it’s the seat. Considered to have one of the most comfortable bedding sets in the sky, you’ll sleep well on your journey of 15-17 hours from the U.S. to Sydney. 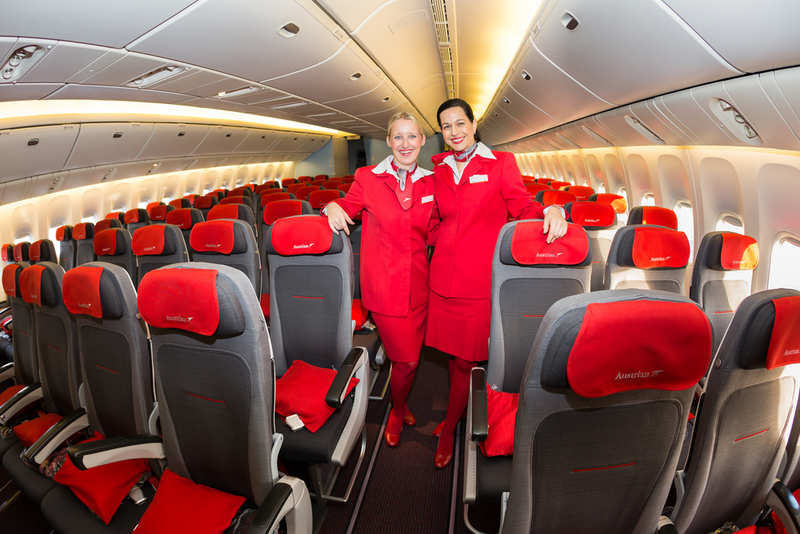 This experience is only made better by the comfortable pajamas you’ll get on board. Check out one of the best first class lounges in the world when in Sydney. Image courtesy of Qantas. If you’re flying out of Los Angeles (LAX), Sydney (SYD), or Melbourne (MEL), you’ll have access to the exclusive Qantas International First Lounge where you can have a great meal, a nice drink, and relax. The Qantas First Class Lounge at LAX is one of the best lounges in the world, so you won’t be disappointed by it. Enjoy a nice meal (or 2) on your journey to Australia. Image courtesy of Qantas. While your inflight meal might not be at the same level as dining in first class on Etihad or Singapore Airlines, your meal will still be very good. Thanks to Qantas’ Oneworld partners and Alaska Airlines, you have several ways to book first class on Qantas. Let’s dive into the best ways to book this flight. 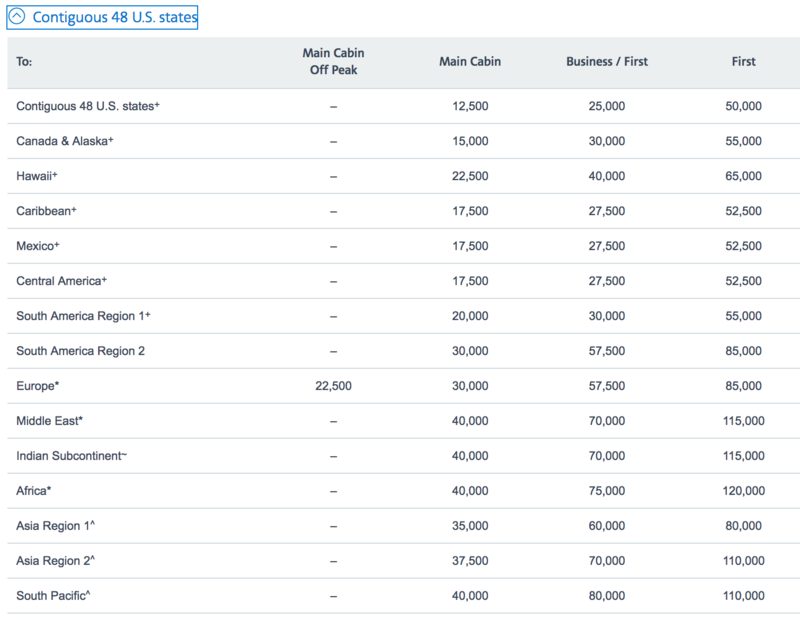 A great way to book Qantas first class is through the Alaska Airlines Mileage Plan program. Flying between North America and Australia will cost 70,000 Alaska Miles for a one-way ticket in first class. You can book a stopover on a one-way award ticket booked with Alaska miles. Check out Japan Airlines’ distance-based partner award chart for some fun redemption ideas. The Japan Airlines Mileage Bank program uses a distance-based award chart, which is broken into tiers based on how many miles you’re flying. If you fly multiple segments, you’ll also need to account for the distance between each airport. Japan Airlines does require you to call when booking partner award tickets, but the process is simple. Japan Airlines allows stopovers, so you might be able to see multiple destinations if your stopover doesn’t add too many flight miles. Hot Tip: For other ways to earn Japan Airlines miles, read our best ways to earn JAL miles. If you need some other ways to use your Mileage Bank miles, check out our best ways to redeem Japan Airlines miles. Cathay Pacific’s frequent flyer program, Asia Miles, provides an easy way to book online. Additionally, you can book a stopover and an open-jaw to really take your trip to the next level. However, this can change the required miles for the booking. As an example, New York JFK to Sydney first class round-trip is 270,000 miles. If you need more miles to complete a booking, Cathay Pacific partners with American Express Membership Rewards points and Citi ThankYou Points. 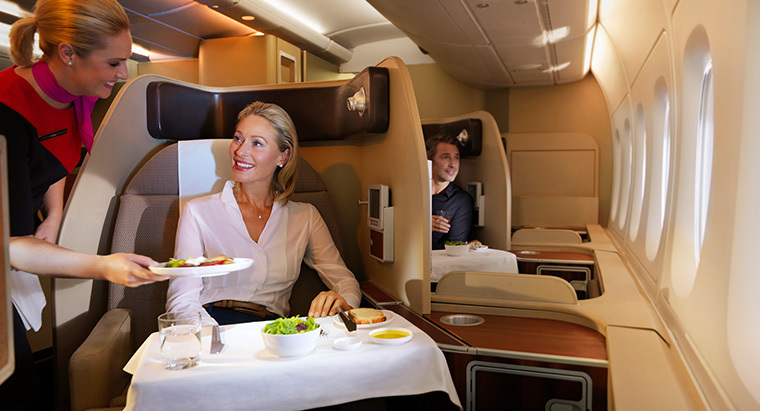 Qantas first class can also be booked with your American miles. American Airlines AAdvantage is one of the most commonly used programs for booking Qantas first class. It was more popular before they devalued their award chart in early 2016, but it’s still very useful if you need to connect to an airport in the U.S. where Qantas operates. To book with American miles, you can head directly to American’s website. If Qantas isn’t your thing, there are great other options for redeeming your American AAdvantage miles. Hot Tip: The ability to put award seats on hold for 5 days makes using American miles one of the easiest ways to book Qantas first class! You’re probably wondering why we haven’t included Qantas as one of the best options for booking their own first class award seats. Unfortunately, their award chart is so uncompetitive that it doesn’t earn a spot among the best options. As a Oneworld member, you can also use several other programs to book Qantas flights including British Airways, Malaysia Airlines, and Qatar Airways. Qantas first class isn’t an easy award ticket to find, but you have several options to book it. Qantas doesn’t have many routes to the continental U.S. In fact, they only fly to and from Dallas Fort-Worth (DFW), Los Angeles (LAX), New York City (JFK), and San Francisco (SFO). Let’s compare the different ways you can book these flights so you can decide which miles to use when booking Qantas first class. Here are the mileage costs of round-trip first class award tickets to or from Brisbane, Melbourne, and Sydney. If you’re ready to book a flight in Qantas first class but don’t have enough miles for the itinerary you want, you’ll be happy to know that there are plenty of ways to earn more. Citi ThankYou Points can be transferred to Qantas. You can earn Marriott points and transfer those to Qantas, Japan Airlines, American Airlines, Alaska Airlines, and Cathay Pacific at a transfer rate of 3:1. Plus, for every 60,000 Marriott points that you transfer, you’ll receive an extra 5,000 bonus miles. Cathay Pacific Asia Miles can be transferred from American Express Membership Rewards and Citi Thank You Rewards (both at a rate of 1:1) or from Marriott at a transfer rate of 3:1. First class award availability on Qantas is notoriously difficult to find. If you really want to fly Qantas first class, you need to start looking 330+ days from departure — or be prepared to check back just a few days before the flight. Even then, it’s unlikely that you will find award space. In 2016 and 2017, Qantas seemed to release a chunk of first class award seats all at once for dates 9 months away. The availability was still very limited, and if you found award space it was only for 1 person. 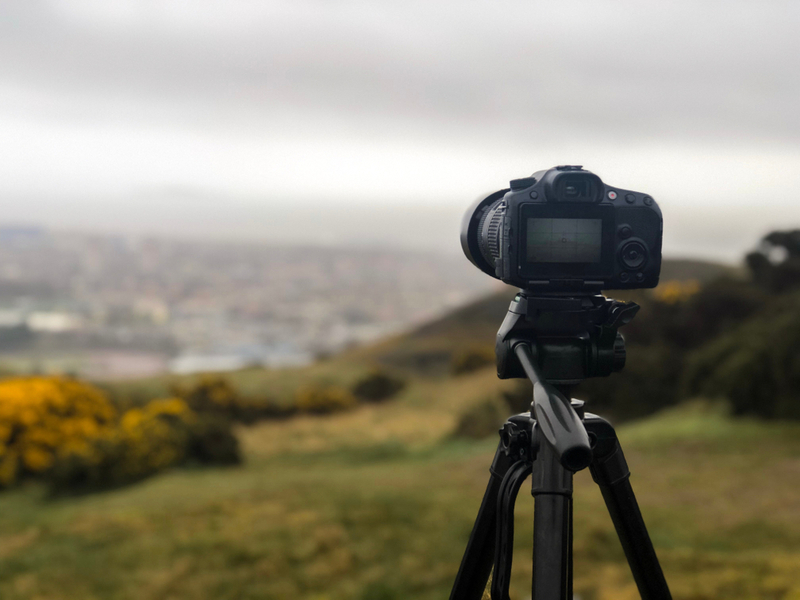 For this reason, your best bet is to book this award for a solo trip; see whether you can find space on the day before or after if you want a friend or family member to join you in Australia. Qantas first class is probably the best way to fly to Australia directly from the continental U.S. for several reasons. Let’s look at a few of those. Qantas doesn’t have the same flash as Emirates first class or the amazing amount of space that you’ll find flying The Apartments on Etihad, but what you will get is an amazingly comfortable flight. Considering the fact that a flight from Dallas to Sydney is roughly 17 hours, comfort is going to be very important! While you change into your pajamas, a flight attendant will set up your bed. Not only will you get a nice blanket and a couple of pillows, but Qantas provides a mattress pad fitted to your seat to make your rest even more comfortable. Some first class lounges have reputations entirely separate from the inflight first class experience they’re associated with; the Qantas International First Lounge is one of those lounges. Qantas’ first class lounge in Los Angeles (LAX) is one of the best airline lounges in the United States. With a reputation for great food and drink and a relaxing atmosphere, you won’t mind a small delay…or a long layover. In fact, this lounge is so popular that those with Oneworld Emerald status go out of their way to visit it when departing Los Angeles on domestic American Airlines flights. And if you think that lounge is amazing, then you should check out the Qantas First Lounge in Sydney. You can of course enjoy a wonderful meal, but they take relaxing to the next level with the option to enjoy a massage at their spa. Qantas will even reach out to you the day before your flight to schedule your spa appointment. It’s no surprise that this is considered one of the best first class lounges in the world! Let’s be clear — finding Qantas first class award availability will not be easy. If you find some, it’s going to be booked by someone very quickly. When you consider both the inflight experience and the first class lounge experience, this comes as little surprise to anyone. 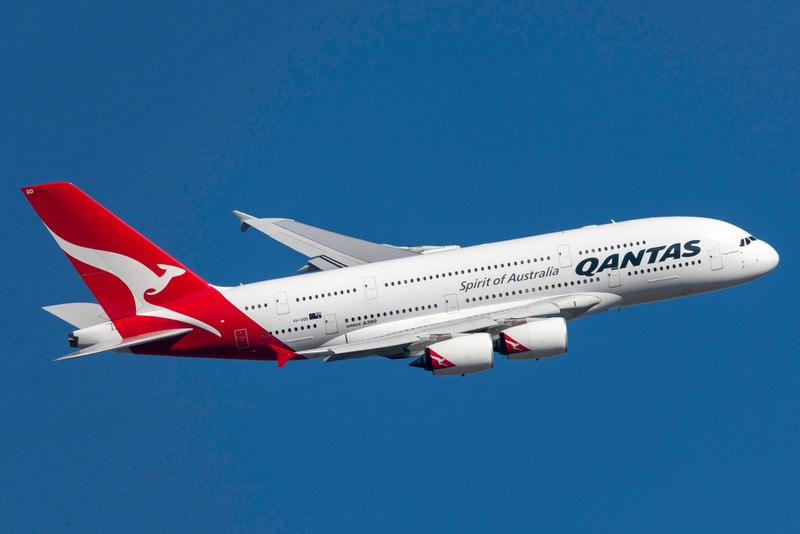 If you have Alaska miles in your account, that will require the fewest number of miles to book Qantas first class. However, if you are going to transfer points to one of Qantas’ partner airlines, that can take time. As a result, you might be better off booking with American Airlines, since they allow 5-day holds on award tickets. In the end, however you book this amazing flight, you won’t be disappointed! What is the best way to book Qantas first class? If you are booking first class on Qantas, check Japan Airlines Mileage Bank, Alaska Airlines Mileage Plan, Cathay Pacific Asia Miles, or American Airlines AAdvantage. Alaska Airlines will have the best redemption rates, but booking with American Airlines can be much easier. What credit cards can help me fly Qantas first class? What do I get when flying Qantas first class? 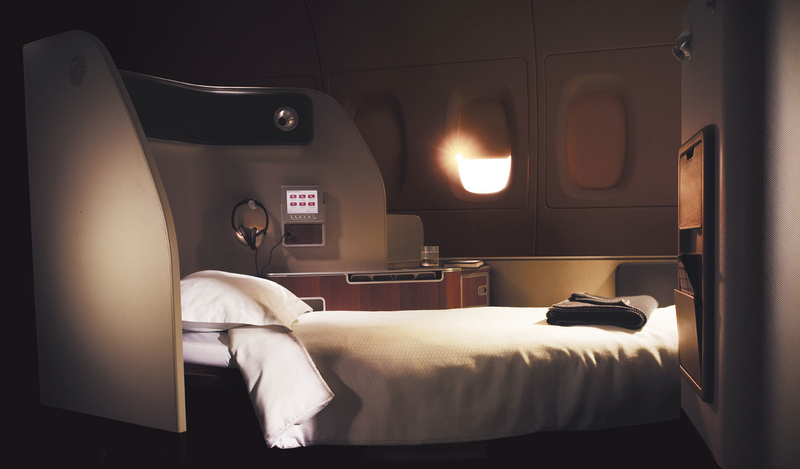 Qantas first class has a bed that can compete with any first class product in the sky. On a long journey to or from Australia, this will be of the utmost importance. If you depart from Sydney, Melbourne, or Los Angeles, you can also experience the highly regarded Qantas First Lounges. I haven’t seen one flight on Qantas from Los Angeles to Sydney that is redeemable with Alaska Airlines Miles in business class in the next 6 months. It is always mixed cabin (i.e. the domestic leg is in business class but the long-haul isn’t). Thanks for reading. Qantas is generally a difficult airline to book premium cabin award travel on. Availability for 1 is much easier to find, especially within a week or two of departure. However, looking for any sort of award travel within the period of 1-10 months before departure is known as the award ticket black hole. We would say to keep looking around for flexible dates. The best luck you’ll find is either right before departure (0-2 weeks before the flight) or far in advance (when the schedule is released).